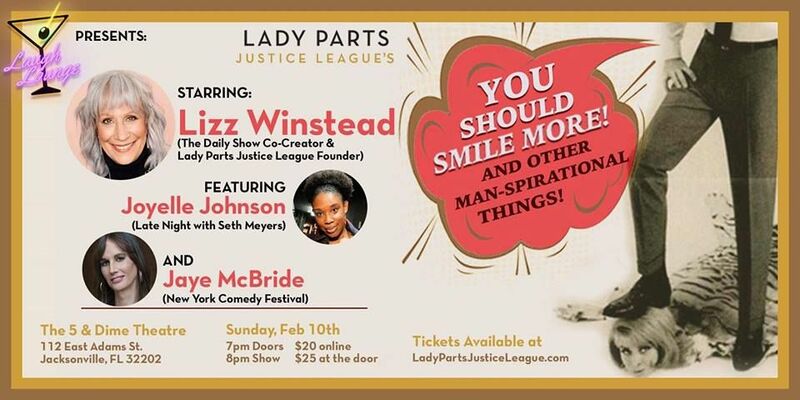 Please note LADY PARTS JUSTICE LEAGUE - A Comedy Show Like No Other! occurred in past. LADY PARTS JUSTICE LEAGUE - A Comedy Show Like No Other! Lady Parts Justice League (LPJL), a national reproductive rights organization that uses comedy to sound the alarm on the erosion of reproductive rights, takes their humor and political rage on the road to take the stage at The 5 & Dime Theatre in Jacksonville, Florida on Sunday, February 10 for an 8pm not to be missed show. 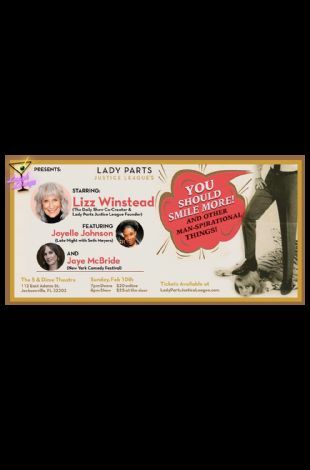 Headlined by comedian Lizz Winstead, co-creator of The Daily Show and founder of LPJL, "You Should Smile More & Other Man-spirational Things," will deliver Winstead's highly sought after humorous political observations and her unique no holds bar style of telling it like it is. Opening for Winstead will be comedian Jaye McBride best known for her appearance at the New York Comedy Festival and Joyelle Johnson, fresh off her hilarious appearance on Late Night with Seth Meyers. Proceeds from this show will benefit LPJL's abortion advocacy work. A show like no other and one not to be missed - Get Your Tix Today! Event Information: LADY PARTS JUSTICE LEAGUE - A Comedy Show Like No Other!